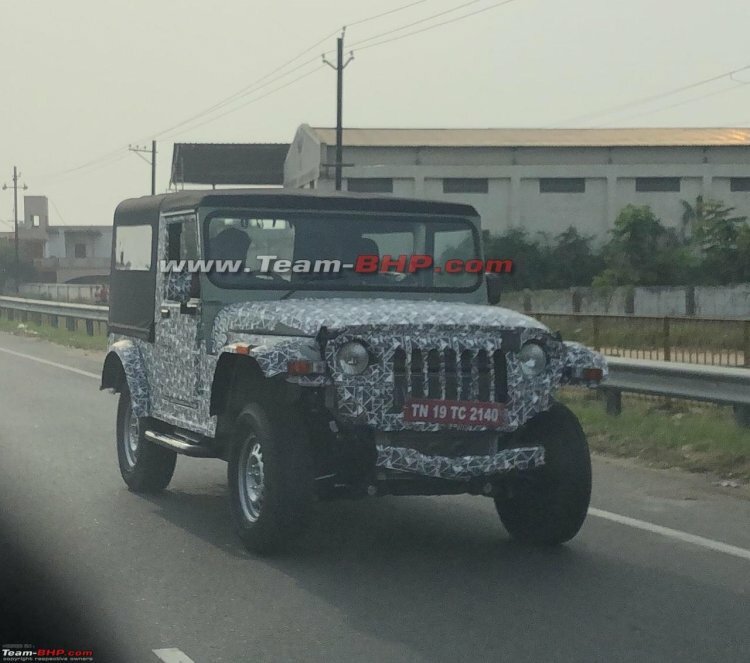 In an exciting development last week, spy shots revealed that Mahindra has started working on the next-gen Thar. 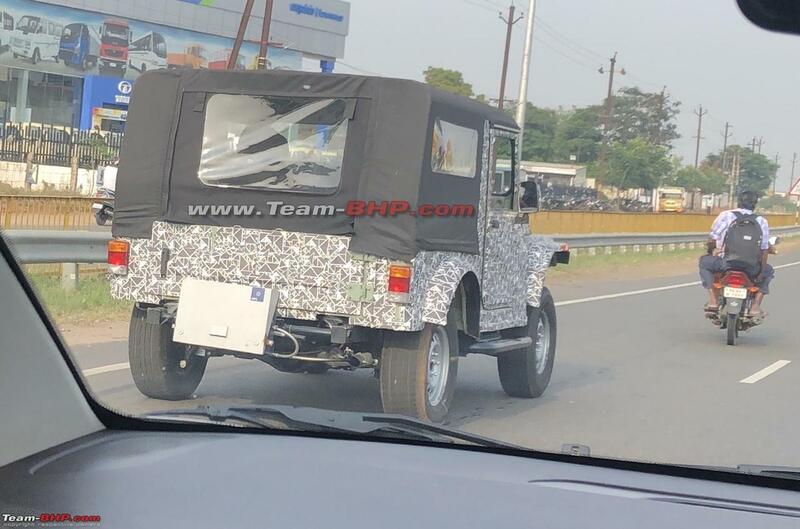 Just days after CarDekho released the first images of the future model, Team-BHP forum member satya180 has come up with new spy shots that show the front-end. The next-gen Mahindra Thar looks noticeably bigger than the current model, particularly because of its increased width. The next-gen Mahindra Thar will feature a modernized design that stays true to the original. The spy shots suggest that it will have a much bigger body and the increased width gives it a squat stance. Reports say that the length will see a marginal increase. An all-new platform will underpin the second generation model, and Mahindra will use this base for other nameplates. To appeal to wider band of customers, Mahindra will make the Thar plusher with the full model change. A completely new dashboard is a given, as the company will need to fit airbags that unavailable in the current model. Expect a number of other new safety features mandated by the government in 2019 but unavailable in the current model, such as speed alert system and driver and co-driver seatbelt reminder. The Mahindra Thar is available with the M2DICR 2.5-litre diesel engine that produces 63 bhp and 195 Nm of torque and the 2.5-litre that develops 105 bhp and 247 Nm of torque. The next-gen model may get new, BSVI-compliant diesel engine delivering higher fuel economy and better refinement. The next-gen Mahindra Thar will feature at least driver airbag, SBR and ABS among other new safety features.